Its modern building was built in 1982 and after this date it began to serve in its own building. The museum building was established to the most beautiful place of the Centrum and it is a single floor building made on basement, with a huge garden. The monuments are being exhibited in two big halls and in an inner hall connecting these halls and in the inner garden. The museum has been the richest museum of the region with the monuments obtained from the foreign and domestic diggings in Lower Fırat Region and with the monument bought and obtained other ways. 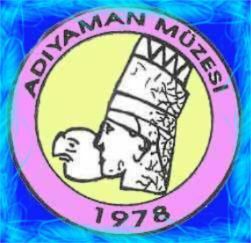 In Adiyaman, activities relating to the establishment of a museum has started back in 1978 with the storing in the Public Library of Adiyaman of archeological objects obtained from the rescue work carried out as a part of the lower Euphrates Project. The museum had a modern building in 1982 and started to serve visitors in its own building. The museum is located in one of the finest parts of the town. It is one story building with a basement, with a large. Antic pieces, photo lab, laboratory and the archive are at the basement. As to the ground floor, a part of it is used as exhibition hall and the rest for administrative purposes. Objects are exhibited in two big rooms, a midway connecting these rooms and in the inner yard. With archeological objects and works which have been delivered as a result of long rears of national and international excavations in the lover Euphrates Region, those which have been purchased and still others making it into the museum in various ways, the Adiyaman Museum is now one of the richest in the region. As we have already stated, archaeological excavations in the lower Euphrates Region had started in1978 by quite a number of local and foreign teams. More specifically, these excavations consist of 1978-1989 Samsat, 1979-1981 Ancoz Tumulus and Fort Horis, 1979-1983 Hayaz and Girittle Tumulus, and 1979-1990 Tille Tumulus excavations. Many valuable articles disclosed as a result of these excavations indicate that the area had been settled continuously starting from the Neolithic Age and through Calcholitic and Bronze ages up to the late Hittite, Roman, Byzantine, Seljuk and Ottoman times. The museum Directorate has also been involved in rescue excavations in addition to others carried out by national and international teams. These excavations have taken place in Levzin Tumulus, Haraba Mosaic and Sofraz Tumulus. According to the 1997 statistics, the museum has 15,358 pieces consisting of 5,818 archeological and 404 ethnographic nature; 8,747 coins, 1 tablet and 390 seals and impressions (with the exceptions of objects under study.) There are 410 books. There are 55 immovable cultural assets in the museum, consisting of 3 military structure, 45 religious and cultural structures. 14 specimens of civilian architecture and 55 archaeological sites. The number of visitors to the archaeological sites administrated by the museum is 21,355. Number of visitors who visited Mt. Nemrut. Antalya - Perge Theatre "Skene"